According to Eyelids’ Chris Slusarenko, the bands’ videos have never lacked in creativity. “We’ve already done pro-wrestlers singing our songs, animated death by the folks at Rick & Morty, threw Peter Buck a sad birthday party,” he says. 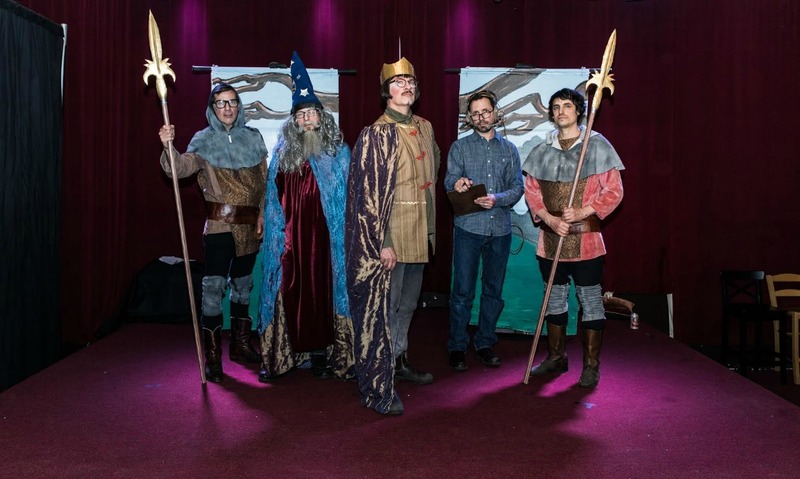 So, when it came time to create some visuals for the track “Camelot,” off of their new Peter Buck-produced record or, Eyelids had some laurels to avoid resting on. Lucky for them, Slusarenko had years of directing experience under his belt (he used to make videos for Elliott Smith’s Heatmiser, for one)…and a very special prop: an adorable fake mouse. From there, the whimsically insane video for “Camelot” was born. Starring Moen as an actor in love with a rodent (a very Burton/Taylor-esque affair), the video depicts the theatrical premiere of an imagined acting troupe’s not-so-lavish production. Directed by Slusarenko, Moen and pal John Clark, and featuring animation by Sara Moen and Nagy, the video brings the song to (surreal) life.